Napoleon Group is the brainchild of our three co-founders, who came together to bring a new financial solution to investors after creating their own start-ups dedicated to corporate clients and professional investors. Within the Group, there are several arms of the business. Napoleon Capital is a regulated financial adviser, designing best-in-class quantitative strategies on listed assets. We use our own research on quant investment solutions and we also partially outsource through our ongoing competition scheme, whereby aspiring strategy providers can submit their idea and be selected by our investors. The use of blockchain technology allows the secure and transparent orchestration of this competition. The proposed solutions are currently aimed at a professional clients who seek to reconcile performance research from Napoleon Capital and operational security provided by a Tier 1 asset manager. Napoleon AM is a quantitative and systematic asset manager offering quantitative investment solutions for qualified professional investors. The firm, financed through an Initial Coin Offering (ICO), offers fund and mandate solutions with the objective of investing in crypto assets (ETH or BTC) via derivatives. Napoleon Index is a regulated index administrator and calculation agent of quantitative and discretionary strategies. Proprietary benchmarks use machine learning algorithms including artificial intelligence. The indices are distributed to regular vendors and are optionally disseminated on the public Ethereum Blockchain as an audit trail. 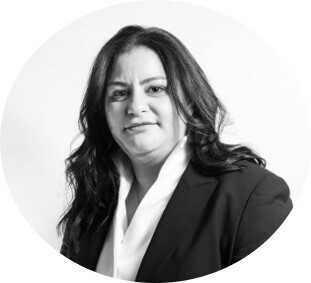 The firm aims to provide tailor-made index solutions to corporate and investment banks, asset managers, brokerage companies and open source strategists. Napoleon Index is registered as index administrator under Regulation (EU) 2016/1011 of the European Parliament and of the Council (known as the Benchmark Regulation) by the Autorité des Marchés Financiers under the number BMR2019000003. The team is composed of experienced and successful index analysts, researchers, and IT developers. Each of our employees brings extensive industry experience, as well as a passion for building a company that does things differently. 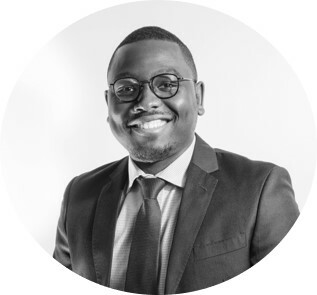 Arnaud has several years’ experience as a private equity investor for a family office, and has conducted leveraged buy-outs in the health and sanitation business. He is an IT and blockchain expert, and holds a PhD in Computer Science from the Ecole Polytechnique. Ichraf has 15 years’ extensive experience in benchmark operations and in delta one index trading. She was also a corporate action adviser for arbitrage desks and hedge funds. Adime is a data scientist and technology expert, specialising in designing and building data and analytics solutions involving large scale data processing, real-time analytics and machine learning. Prior to joining our team, Alexandre engineered trading tools on the Listed Products Trading Desk at Société Générale CIB for four years. Our qualified and knowledgeable members provide us with their feedback in a wide array of areas and help us to continuously improve our index solutions. 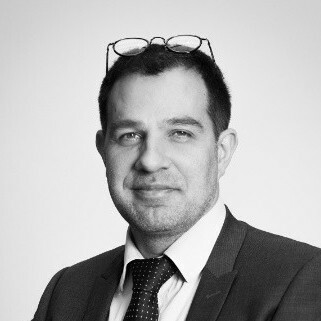 Stephane is an experienced asset manager who started developing algorithmic strategies more than 10 years ago at BNP Paribas Asset Management. 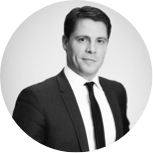 Jean-Charles has longstanding experience on both the sell and buy sides and has spent more than 13 years in Tier 1 banks. 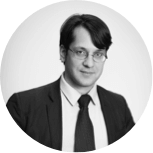 Stefan has strong experience as a quantitative developer with extensive expertise in derivatives pricing, electronic trading and asset management. He is a smart contract programmer and a blockchain expert.